Inside her Mo‘ili‘ili condo, Yoko Futa, an 83-year-old former clerk for the State Department of Transportation, volunteers for about 10 hours a week, helping patients at Queen’s hospitals. Yes, she volunteers from her own home. Futa is a member of The Queen’s Medical Center’s Volunteers in Place program, a way for community-minded people and groups to serve at home, centers or sites. From left: 15 Craigside craft group members Violet Irinaka, Mabel Sekiya, Florence Nakamura, Hisako Toyooka, Violet Chang, Willie Faria and Katherine Sia. The Volunteers in Place program immediately appealed to the residents of 15 Craigside, a retirement community in Nu‘uanu. A group of about a dozen women — the oldest is 92 — meet Monday mornings to knit, crochet, sew or stuff pillows. 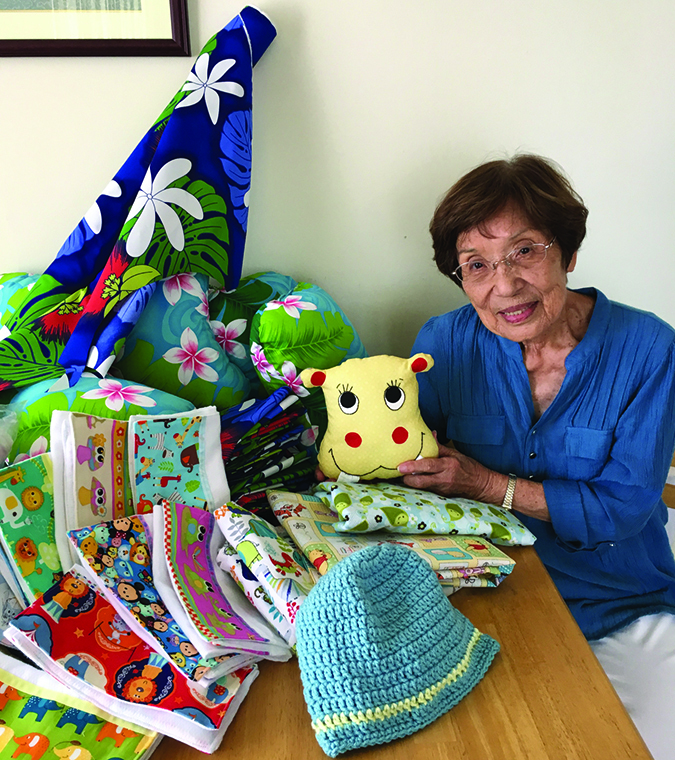 If residents of your retirement community can knit, crochet or sew and are interested in the program, or in donating Hawaiian-print fabric, stuffing or knitting and crocheting supplies, please call Queen’s Volunteer Services at 808-691-4397.